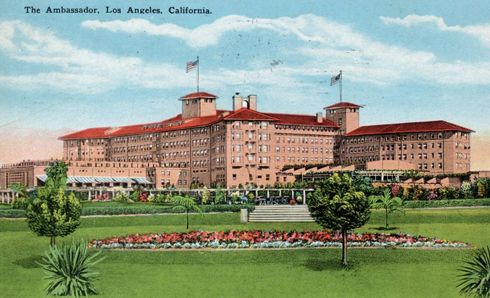 Located at 3400 Wilshire Boulevard in Los Angeles, California, the former Ambassador Hotel was one of the preeminent hotels in the city for decades. 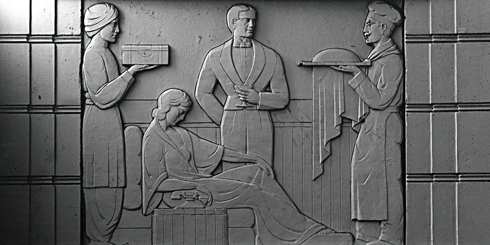 After opening in 1921, it was the Cocoanut Grove, the Ambassador's nightclub, that regularly attracted headlines as one of Hollywood's early hangouts. 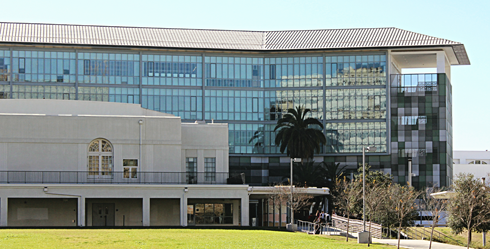 From 1930 to 1943, six Academy Award ceremonies were hosted here. 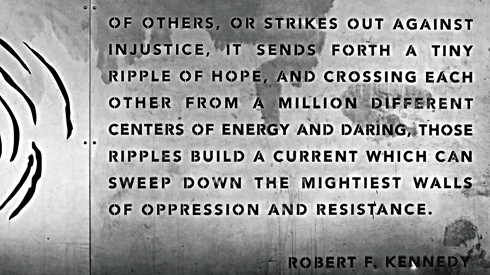 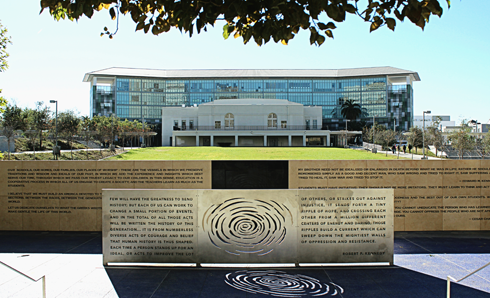 On June 5, 1968 while campaigning for the Democratic nomination for President of the United States, Robert F. Kennedy was assassinated in the Embassy Ballroom. 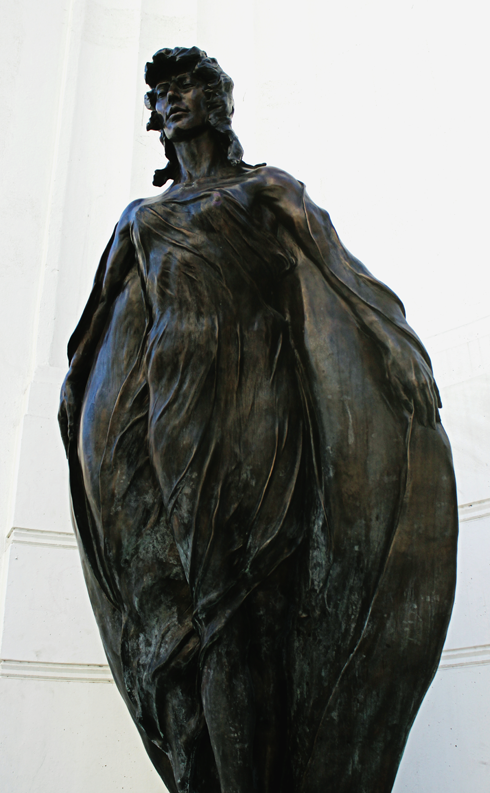 Five others were also shot that night, but survived. 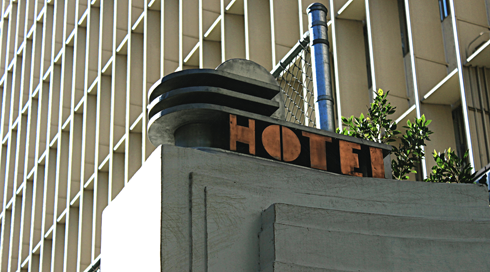 It was shortly after that the Ambassador Hotel began to decline, accelerated by an increase in crime in the surrounding neighborhood. 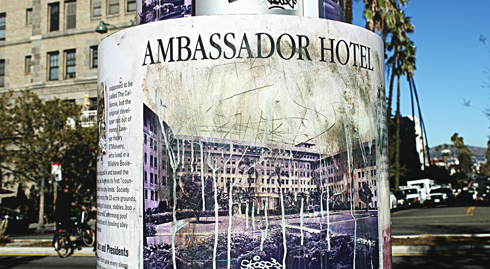 By 1989 the Ambassador Hotel had closed its doors, but remained popular as a filming location for numerous productions. 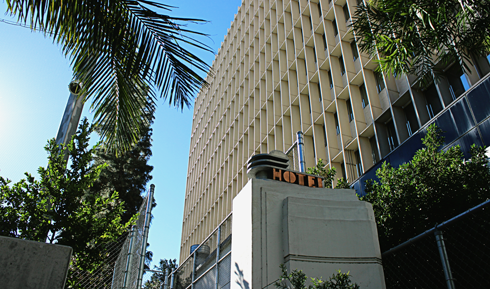 After much debate, litigation, and public protest to save the structure, it was decided that the former hotel would be demolished in 2005. 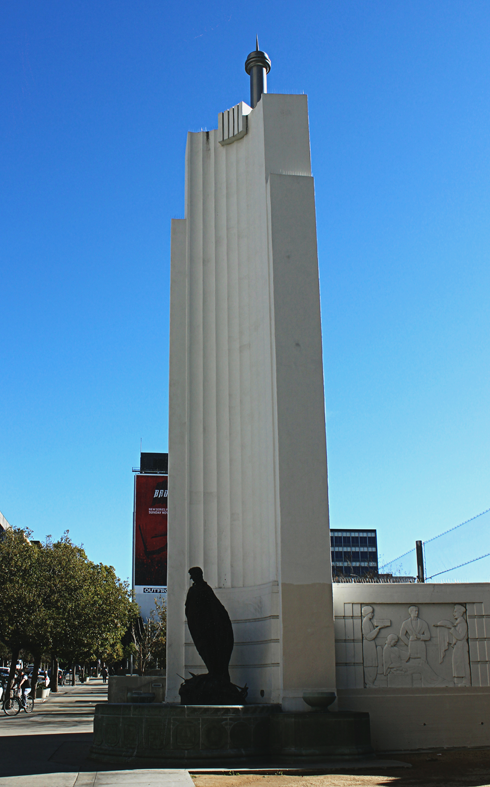 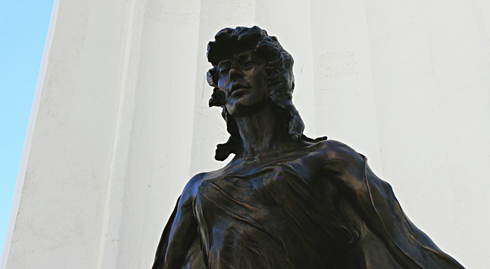 One of the original pillars along Wilshire Boulevard still marks the hotel. 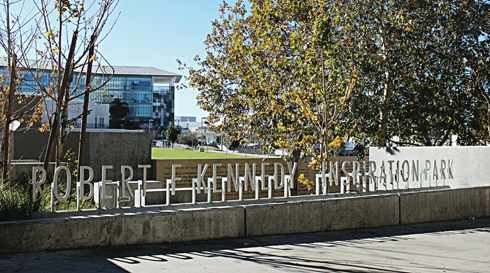 Today a complex comprised of six schools sits on the location of the former hotel, known as the Robert F. Kennedy Community Schools. 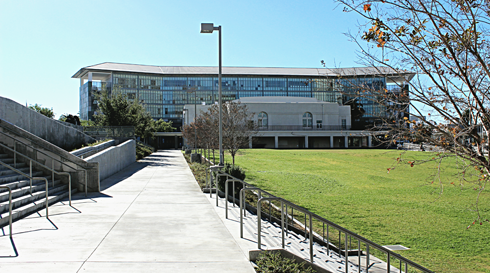 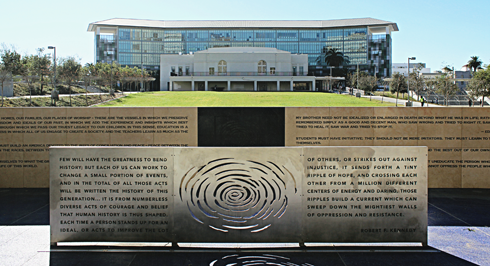 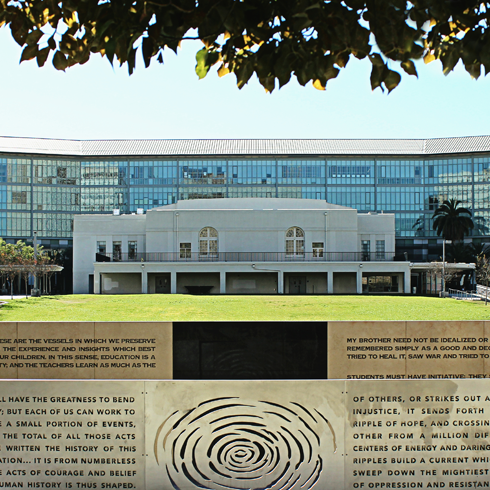 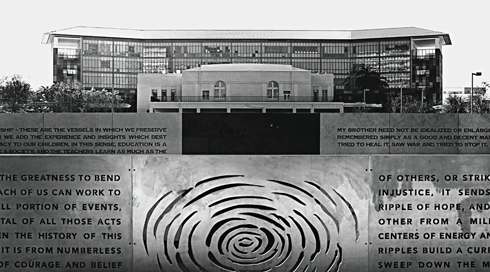 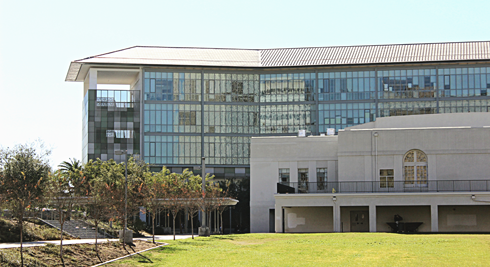 When viewed from Wilshire Boulevard the school has a similar shape to the hotel it replaced, although with exception to the entrance and east wall of the Grove, it is an entirely new structure. 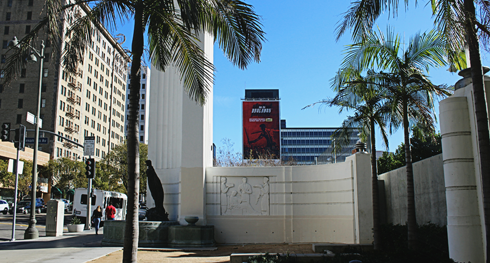 Along Wilshire the original pillars to the Ambassador Hotel entrance remain, and the Robert F. Kennedy Inspiration Park was constructed. 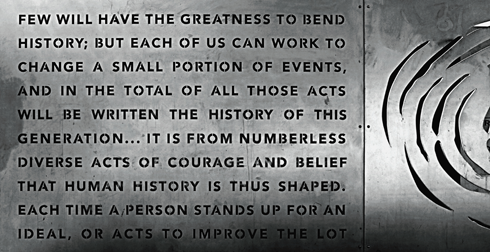 It's quite something to stand in a location that resembles something historic, but recognize how much has actually changed. 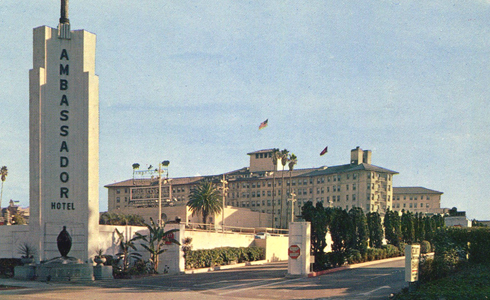 Entrance to the Ambassador Hotel in the 1950's. 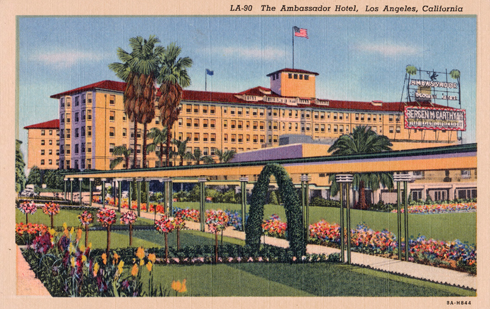 Vintage postcard of the Ambassador Hotel.